Sometimes quiet sounds are the most jarring, such as hearing what could be a stream while walking down a particularly cement-lined and almost entirely tree-less street in a large city. It’s a sunny winter Friday in San Francisco, not far from the ocean. There’s a strong wind, and passing planes and cars, and yet the sound is there, for certain, the sound of a small stream. Of course, it isn’t a stream, not in the general sense. 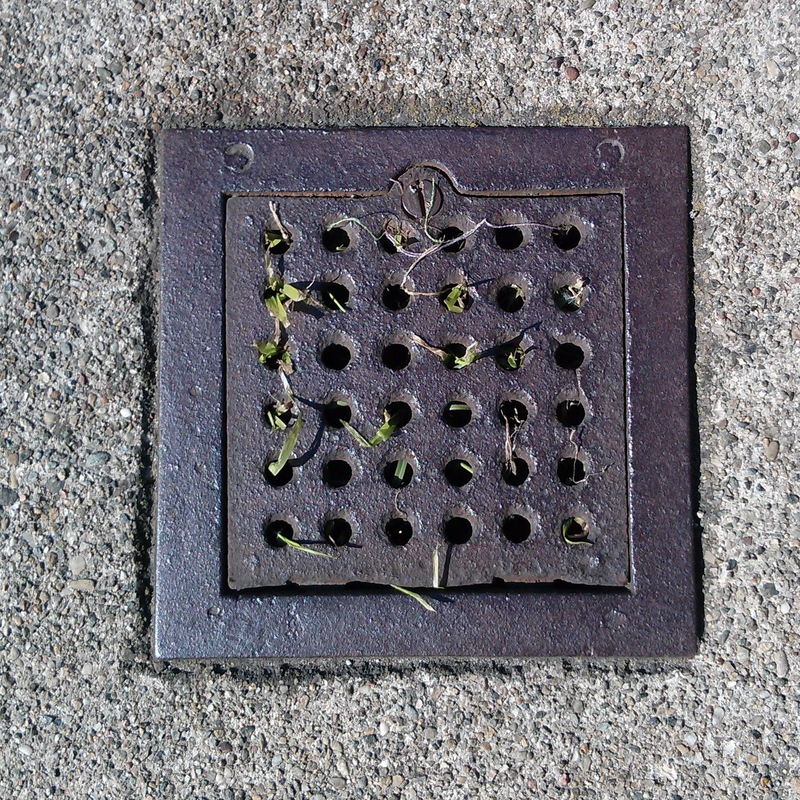 It’s a drain, whose holes let the passing water echo above. A struggling bit of microfoliage, tiny weeds making their way to the sunlight, confirm the liquid below. Track originally posted for free download at soundcloud.com/disquiet. Track recorded on my Nexus 4 cell phone using Easy Voice Recorder Pro on Friday, February 22.